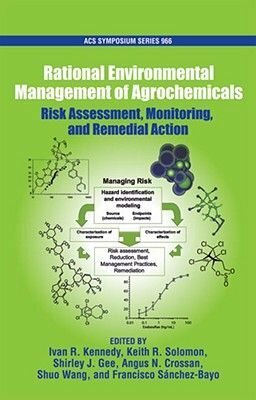 Rational Environmental Management of Agrochemicals will impact the agrochemical industry with its comprehensive survey of rational principles that should be used to select and manage the best agrochemicals while also encouraging the registration of new chemicals with reduced risk of every kind. This book will present papers from one of the most well-attended symposia presented at the PacifiChem Conference with a range of 30 papers presenting the most recent advances in risk assessment and management of organic agrochemicals as it relates to insecticides, herbicides and pharmaceuticals, and the development of rational methods aimed at reducing their overall impacts on trade, human, and environmental health. The concept of Rational Methods is organized under three key themes: Environmental fate and risk assessment, monitoring, and risk management and remediation. This book will contribute nicely to the series of Agrochemical Division sponsored symposium books published in recent years.